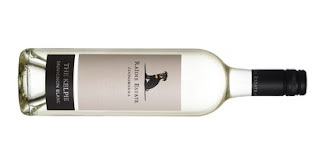 A sessional type Sauv Blanc. Why swim in the tsunami of New Zealand Sauv when there's tasty wines like this in our backyard? Bursting with tropical fruit and melons, it's fresh, zesty and zippy all in one. Pineapple husk, passion fruit, green melon, lemongrass cut loose. Clean fruit through the mouth dance at ease with enough fruit coming to the party. Plenty of crowd pleasing appeal. Well played team Raidis.